W-94.409404°; from I-35 Southbound in Bethany, take exit 92 and turn right onto Rt. 136 (Miller St.); stay on Rt. 136 for .67 mile, then turn left on US 69/136; stay on Rt. 69/136 for approx. 22.5 miles; turn left onto SR H; stay on SR H for approx. 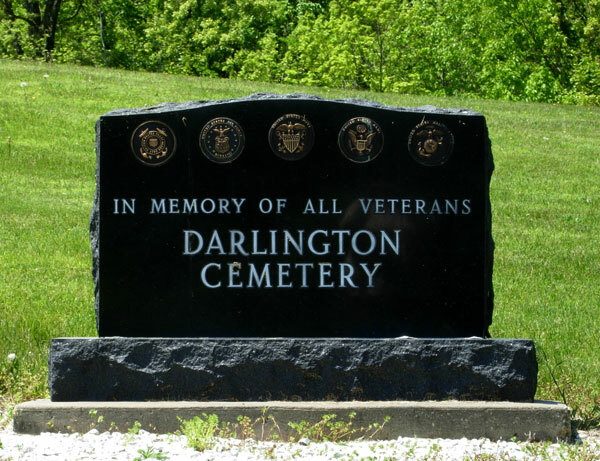 3 miles, then turn left onto SR E/SR H; stay on SR E/SR H for 1 mile; turn left onto the cemetery road; the Darlington-Rouse cemetery is about 1/2 mile on the left at the end of the road.